Buzz Kill Ramblings of Tim Louie: SHE JOINED THE MILE HIGH CLUB....WITH HERSELF! SHE JOINED THE MILE HIGH CLUB....WITH HERSELF! So, it seems British Airways has been in the news a lot the past couple of weeks. Last week, they had to turn the plane around because someone decided to poop on the plane and the smell was so horrid that they literally had to turn the plane around. The smell coming out of the bathroom was so bad that it could not have withstood a six-hour flight. So, they turned the plane around and returned to the departing airport. I'm only sorry that I didn't write about it in this blog because that story was right up my alley. Therefore, I will not leave this new British Airways story in the dust because it sounds just as insane! I'm sure many of you let your inhibitions go and let loose when you're on vacation. Many of you also know enough to return to your regular self once you enter an airport because that signals the end of your vacation and back to your regular mundane life. That's unless you were this 46-year-old unidentified woman, who was flying back to the U.K. from Jamaica after her week-long vacation. She decided to let her freak flag fly high on the way home. The woman apparently thought she was still on vacation and got pissed drunk while she was on the flight back to Gatwick Airport in London. She proceeded to strip off her clothes and began tickling her taco at her seat. It sounds to me that she really admired and adopted the Jamaican ideology of "No problems." Several passengers watched as the wild woman continued masturbating, while others alerted the airline crew about what was happening. Those prudes! Once the plane landed in jolly ol' England, the woman was given a police caution for being drunk on an aircraft. Um, what? That's it? So, this woman took off all her clothes, finger-popped herself and only received a warning about being drunk on the airplane? What the hell? 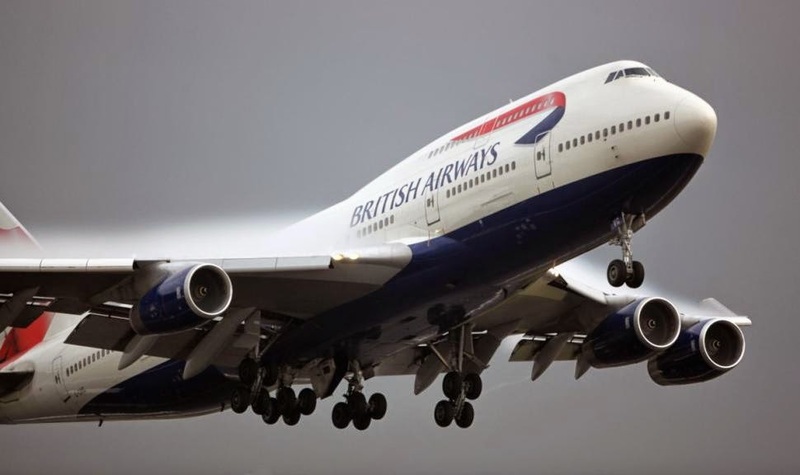 British Airways refused to comment any further on the incident, but did confirm that police were called to handle the situation on the flight. I am so confused because if a guy stripped down and started pulling his pud on the plane, he would have been arrested and thrown in a drunk tank. This sounds like a double standard to me. The only thing I can think of was the woman put on quite a show for the crew and other passengers that no one really complained about her masturbation show, but her being drunk really got to them. Either way....what the hell? SEALED WITH A KISS....IN THE VAJAYJAY? TIME TO SCOOP THAT POOP! HE'S THE ONE THEY CALL DR. FEELGOOD! A REAL LIFE TEETH FAIRY!